What better way to cap off the week than a journey off the usual electronic path to revisit a classic. First and foremost, it should be stated that nobody can touch Elton John's original version of Rocket Man. That being said, I couldn't help but get excited to see Toro Y Moi's name associated with a cover version. Following the lead of Astronauts Etc, Chaz provided a much needed assist on a surprisingly throwback, heavily funk fortified rendition of Rocket Man. 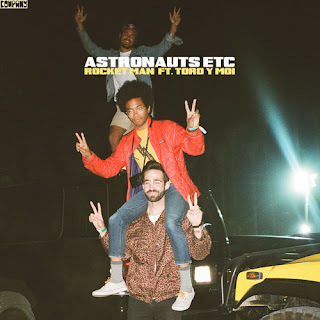 Labels: Astronauts Etc, Elton John, Toro y Moi, Who Rocked it Better?